Laura’s role is a mix of marketing and sales. Where she’s responsible for elevating core product brands for Pacific Steel such as Seismic® and Wiremark®. Laura’s enjoyment of building and construction made it a perfect industry to apply her skills to. She’s responsible for ensuring brand awareness and loyalty are maintained and grow over time within Pacific Steel’s marketplace. From a sales perspective she also looks after several key accounts throughout New Zealand. Pacific Steel is New Zealand’s only manufacturer of wire rod, reinforcing bar and coil products. Their Auckland based manufacturing facility produces around 250,000 tonnes of manufactured steel per year. They have several target industries for their products and sell into a range of market sectors, from construction through to agriculture. Pacific Steel Market Development and Key Account Manager, Laura Coffey. Find out how Laura got started in the metals industry below! Laura, what do you think it takes to pursue a career path like yours? Having a strong understanding of the business world helps immensely in a role like mine. A Bachelor of Commerce or Business can help provide these foundations. 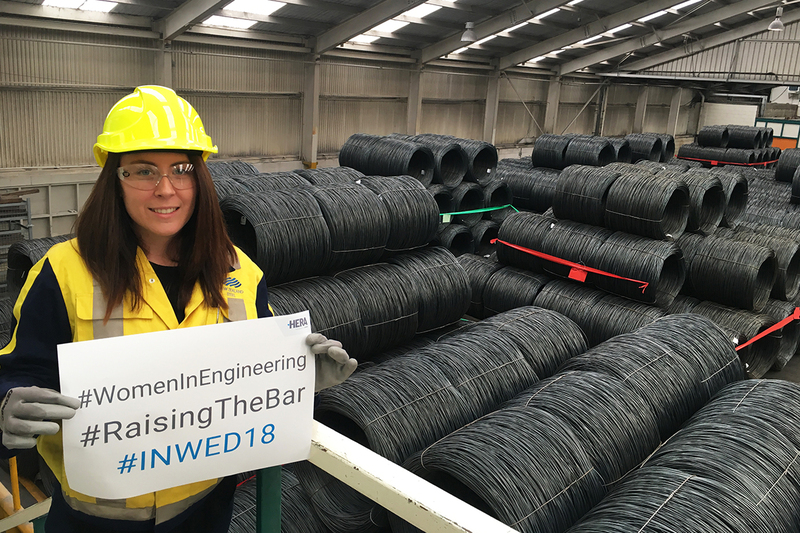 I chose the manufacturing industry after graduating from the University of Auckland and accepting a graduate position with New Zealand Steel. I liked the idea of working for a company who produced a product used in every facet of modern society. As New Zealand Steel produces several building materials I was also exposed to the building and construction market. It’s this market that I enjoy the most to this day. It’s constantly evolving and changing and an industry where innovation is the key to success. You must adapt to grow as a company or brand. What makes you happy to head to work each day? I love that my job is so variable, and gives me experience in both the marketing and sales aspects of a business. I find I’m constantly learning new things. My job is also very people orientated which is extremely important to my work happiness. The projects I work on are also very rewarding. My most memorable one from a marketing perspective being the production of New Zealand Steel’s Colorsteel® TV commercials. This project required a lot of project management and creativity, but the result was so satisfying. From a commercial project point of view, we’re currently providing reinforcing steel to the new City Rail Link development at Britomart. It’s extremely exciting to be part of providing building products which will one day lay the foundations of Auckland’s future transport network. How do you find working with engineers who are mostly male? Working in a male dominated environment has never put me off the industry. However, it’s refreshing to see over the last few years how much effort businesses have put into creating more diverse and inclusive workforces. I think continued training in these areas is a great way to support this transition. We can’t just use diversity as a buzzword, it needs to be reinforced as a key driver of business success. This means we need to ensure every employee in our organisation understands why it’s so important to the future of our companies. There’s still a long way to go – but I believe we’ll get there in the end! For those considering a career like mine – believe me when I say the building and construction industry is more interesting than you think! If you’re interested in being part of an industry that helps shape the future of our cities and has a real drive for innovation then this is the industry for you.